Contacted two dealers and they are taking forever ( more than 6 weeks now). I’m looking for new exhaust gaskets and the bracket for the third muffler hanger for the nismo exhaust. Anyone have suggestions on where to find these parts faster? I just ordered the rubber hanger off amazon! Do you have a link?! Thank you sir! I finally got a hold of dealer that has the bracket in stock to mount the hardware for the third bracket. I’m trying to install an OEM Nismo exhaust from a 2014 Nismo onto my 2015 Sport. I wanted to do this the right way and keep things looking stock. I noticed a third bracket on the exhaust and didn’t want to mount it without the necessary support. I ordered the bracket, bolts, and hanger directly from Nissan. I got my parts but I have a small issue. 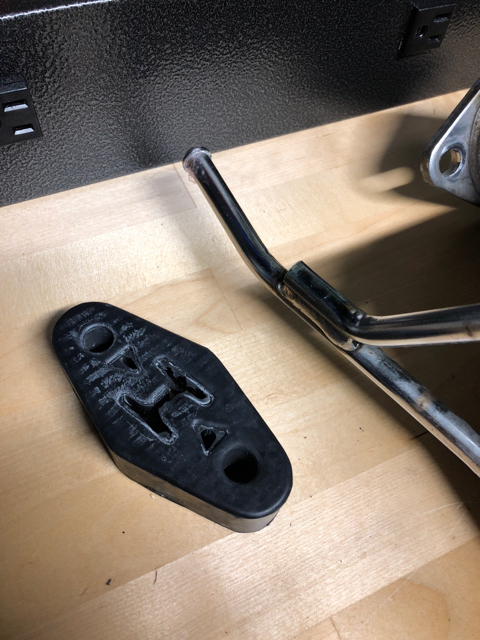 The exhaust support bracket seems to be thicker and has a head on it that won’t fit into the rubber hanger. I checked all of my part numbers. I purchased the part mentioned above from amazon but its way different. It’ll fit the support bracket no problem but I’m unsure of how to mount it and if it will have issues long term. Plus it’s not OEM which is kind of the point. Any advice? Should I just try to push out the metal insert in the OEM hanger? Last edited by tims370z; 08-22-2018 at 09:26 PM. I bought the same parts from Nissan, and installed a Nismo muffler on my touring car. I just pushed out the the metal insert, and the hanger bar on the muffler slipped right through the rubber isolator. 1. Any tips on how to push out the metal in the hanger? 2. 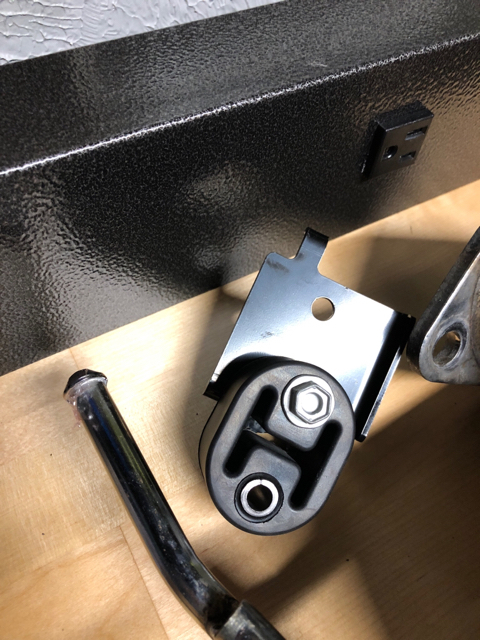 Do you happen to know the part number for the bolt that connects the bracket to the frame of the car? I wasnt able to source this. I just used a deep socket that was slightly smaller diameter than the insert, and a hammer and drove the insert out. I have the bolt part number, will look it up tonite. Thank you for the tip. Worked like a charm to get the metal piece out. I also found a OEM style 8MM bolt to connect the bracket to the body. 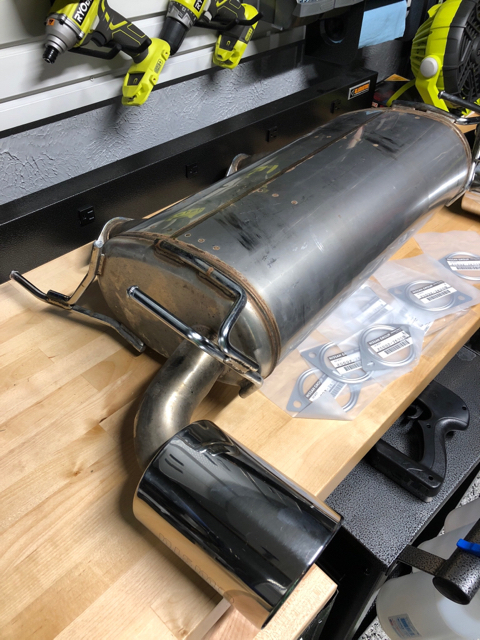 I’m ready to hang the exhaust! I was told the 3rd hanger wasn't used. I just took off my Nismo exhaust and it had the metal there (which I removed), but no rubber piece. New exhaust has hanger but it definitely doesn't need the 3rd hanger installed.